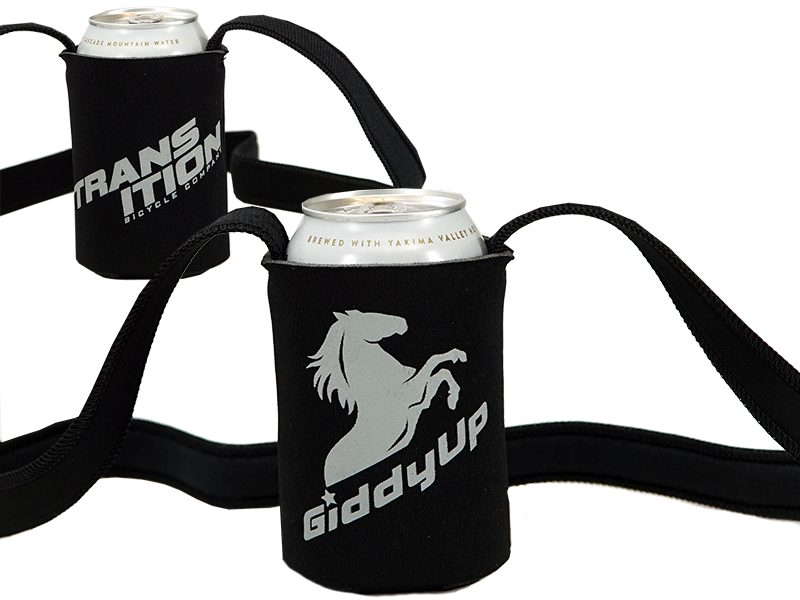 A must have accessory for any beverage loving mountain biker. 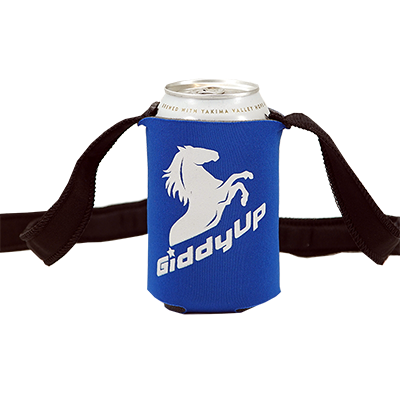 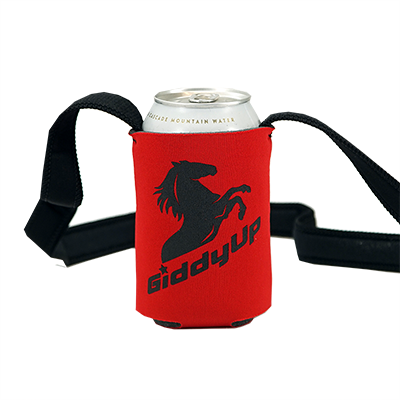 Our hands free coozie gives you maximum freedom to use your hands while keeping your beverage cool and accessible. 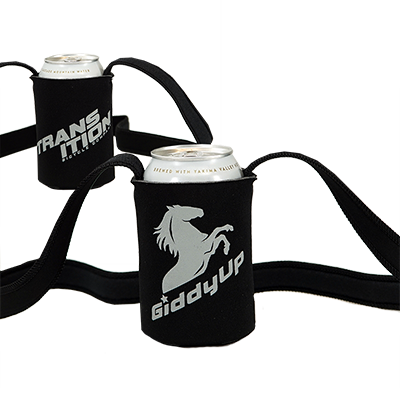 Transition logo on the front and our GiddyUp logo on the back and available in 3 colors.